"It was raining when I left Batangas. When I reached the airport in Manila, it was also raining. Arriving in the place, there were intermittent rains and it rained the whole night when I slept that night. It was June 2012, rainy season was fast approaching. 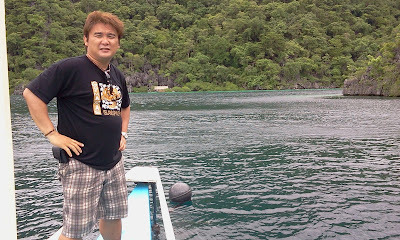 The following morning, it did not rain and for two days I enjoyed Coron! And it rained again when I boarded the airplane back to Manila." 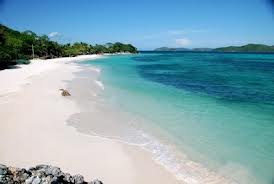 The Calamianes Group of Islands in Northern Palawan is composed five main islands, namely: Busuanga, Coron, Culion, Calauit and Linapacan. It includes 160 islands with a total land area of 1,600 sq.kms. (11% of Palawan Province) and 1,088 kms of shoreline. 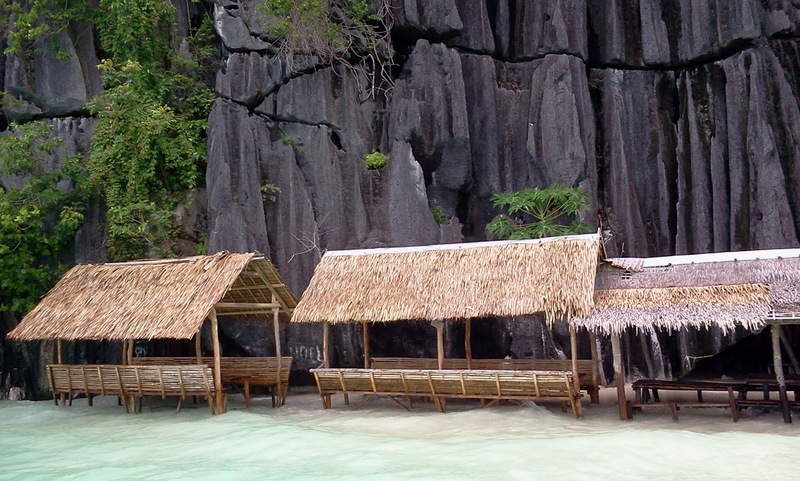 Tagged as the "Shipwreck Diving Capital of the Philipines," Coron is known for having the cleanest inland body of water in the Philippines, called Kayangan Lake. It is also one of the world's best diving spots, with a beautiful coral and the sunken World War II Japanese shipwrecks. And this island is the last leg of my summer tour for 2012. As early as November 2011, I was able to buy a promo ticket from AirPhil for a round trip ticket of only PhP1,423.00. Unfortunately, the flight to Coron was scheduled late in the afternoon. It was raining that day. Good thing when the airplane landed, it stopped raining. I was able to charter a van to the town. From the airport to the town, the travel was good for 30-40 minutes. Our first stop that day was the pier. There were tourists inside the van who were billeted in an island resort and the driver took them first to the pier. 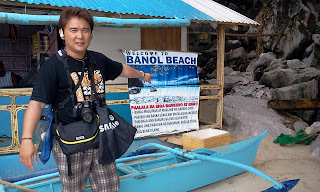 At the pier, I saw the rates of hiring a boat to various destinations from Coron. 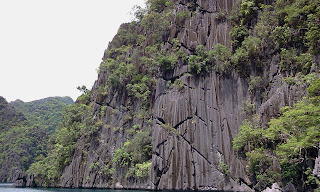 I saw the boat ride to El Nido. I miss El Nido. But this is Coron! Another premiere paradise destination in the Philippines..
As a backpacker and in my years of traveling, it was never my habit of making advance booking to a hotel. And so that night I had to find my accommodation. I searched the town by foot trying desperately to find one. Luck was on my side, I was able to find the Sea Dive Resort and there was only one room left that night. I immediately paid (PhP1,500/day) for it. The ambience was simply cozy and relaxing. I told myself, "I will definitely enjoy my stay here." The following morning at the Sea Dive Resort, I inquired the frontdesk of the hotel on island hopping tours they provide for their guests and they gave me a guy named "Erik" (0949-1351222). Good thing the weather changed and I am all set to go for another island adventure. 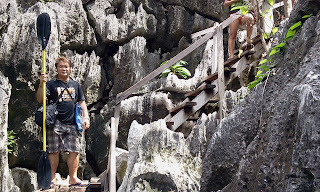 The island hopping adventure in Coron. Since I had no person to share it with, I chartered the whole boat for PhP1,500. The tour included the Coron Island Loop Tour consisting of Siete Pecados, Kayangan Lake, Barracuda Lake, Twin Lagoons, Banol Beach and Skeleton Wreck. The Malcapuya Island tour costs PhP3,500. I rented also a kayak (P500.00). In just a matter of fifteen minutes, we were able to reach our first destination. I enjoyed my snorkeling here. The water was just so clear. After Siete Pecados, a series of beautiful islets followed. The sight was just spectacular! We stopped on our second destination. The world-famous - Kayangan Lake! You have to walk for ten to fifteen minutes before reaching the site. We even passed a cave before reaching the site. Behold the grandeur of the lake! After thirty minutes, we went to our next stop, the Barracuda Lake. 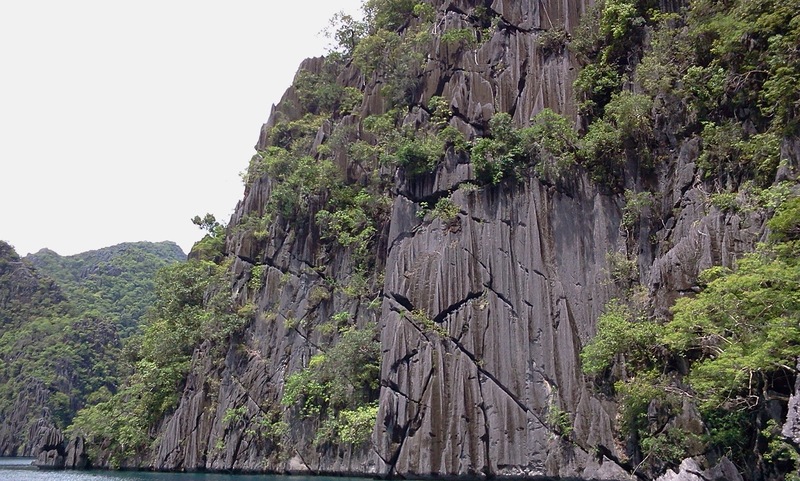 I was so thrilled by Kayangan Lake that I decided to do snorkeling and kayaking at Barracuda Lake. There were so many tourists that day. Ready to their snorkeling and scuba diving. I was the only person kayaking. Kayaking is best enjoyed in this Lake. Again, the water was just so clear! After one hour, we continued our island hopping again. And the sight never fails to amaze me..
We were to take our lunch at Banol Beach. Good thing I bought pork in the market and my guide was kind enough to grill it for me. After our lunch and a quick nap, we went to the Twin Lagoons. From Banol Beach, it took us fifteen minutes to reach the site. I explored Twin Lagoons. Again, another site for snorkeling. Last stop for the day, the Skeleton Shipwreck. I dived into the water just to see the actual wreck of the Japanese ship. I was suppose to go to Malcapuya Island that day. But I changed my mind. I wanted to explore Coron. Instead, I opted for a land tour. I hired a habal-habal (PhP600.00) and motorcycle tour started. First stop, the St. Augustine Church. After the church visit, we went to Cabu Beach. From the town, we reached the beach after a fifteen minute ride using the motorcycle. Next in the itinerary for that day - Maquinit Hot Spring. Another beautiful place in Coron! We arrived early and there were no tourists yet but after thirty minutes, the spring was flooded by swimmers. You can have a relaxing trek within the vicinity and explore the mangroves. and we passed by the famous place for pasalubong in Coron. Coron Harvest is known for world-class pili delicacies. Reaching the town, it is a must that we trek Mt. Tapyas Viewdeck. It took me more or less an hour before reaching the top of the site. A huge cross was placed at the top of the mountain. From the top of the mountain, an aerial view of Coron is simply outstanding! I appreciated more the descent. The scenery was really outstanding! Reaching the town, I paid my guide/driver and even treated him merienda. This was place where I took my breakfast, lunch and dinner. Do not get me wrong. The food served at the Sea Dive is world-class. But I am fond of eating in "turo-turo." And this is not the usual turo-turo. Trust me. After my early dinner, I waited for the sunset. I took some shots of the sunset. I love having the sunset as my subject. I remember Batanes, the sunset there is simply majestic! After the sunset, I roamed around the town and passed by this bar & restaurant. And even a place for backpackers. That night, I enjoyed for the second time my Swedish massage. I took an early flight back to Manila. It was raining when I left Coron but the memories of Coron was as bright as the sunlight shining in my face. 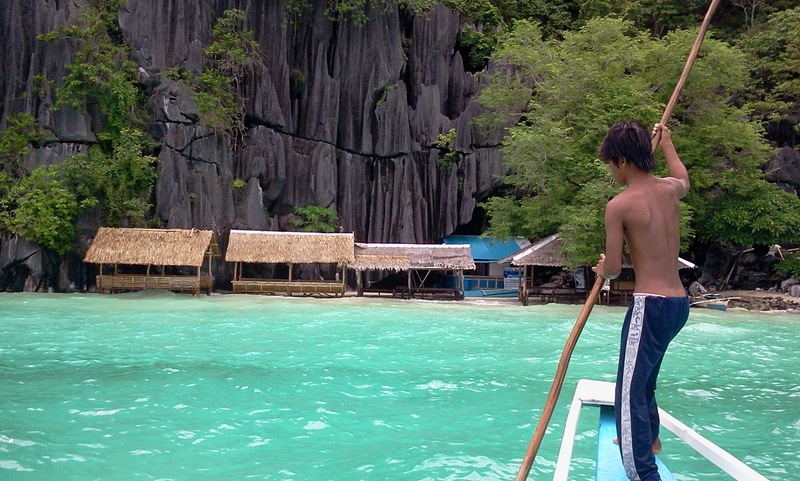 Enchanting Coron, a must-see place in the Philippines.